The unique cultures of minorities and indigenous peoples worldwide – spanning a wide variety of customs and practices – are under threat. 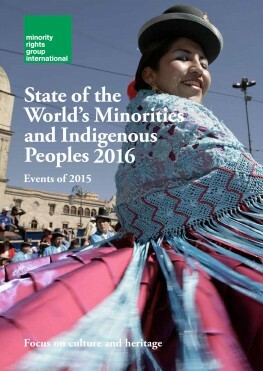 This year’s edition of State of the World’s Minorities and Indigenous Peoples highlights the impact of land dispossession, forced assimilation and other forms of discrimination on the most fundamental aspects of their identity, including language, art, traditional knowledge and spirituality. But while the effects of this attrition can be devastating, minority and indigenous cultures have also been critical in strengthening communities and providing activists with a platform to fight for their rights. As this volume illustrates, ensuring that the cultural freedoms of minorities and indigenous peoples are protected is essential if their other rights are also to be respected.